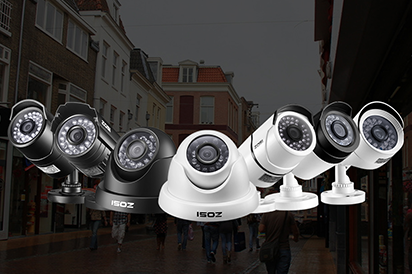 These options determine the quality of video streamed from the DVR to the Zosi View app. Higher settings will require a stronger internet connection. Resolution: The supported resolution is CIF. FPS: The frames-per-second sent to your mobile device. The range is from 1 to 6. The default is 6. Encode: Supports Variable-Bit-Rate (VBR) and Constant-Bit-Rate (CBR). The default is VBR. Quality: Select the quality of video being sent to your mobile device. The default is “lower” quality to save the user bandwidth. Max Bitrate: Select the maximum bitrate available to be sent to your mobile device. A higher bitrate will use more data. Use the bottom row to manage all channels at once.